Maintaining proper bodily concentrations of vitamin A could be critical to a healthy pregnancy. Vitamin A presents in two forms. The most common presentation of this vitamin is known as retinoid, which is found in specific animal products. However, the nutrient can also be found in certain types of plants. For example, the important nutrient beta-carotene is a vitamin A byproduct extracted from plants. The substance is plentiful in several different foods, including various fish, the livers of certain animals, cheese, eggs, fruits, and vegetables. The nutrient is paramount to the health of both mother and developing child. Vitamin A plays a significant role in helping an embryo morph into human form. The unborn children of women who fail to consume adequate amounts of the chemical are at risk of having vital organs (heart, lungs, liver, kidney, bones, eyes and central nervous system) not develop properly. Moreover, once their children are born, mothers who breastfeed will need to maintain steady levels of internal vitamin A concentrations to ensure the newborns continue to grow and remain healthy. Vitamin A is known to contain numerous antioxidants. These substances are medically proven to fight systemic accumulation of potentially harmful substances called free radicals. Free radicals are environmental toxins and allergens that damage the body’s cells, tissues and organs by precipitating inflammation. Antioxidants stifle the progression of free radicals and cease the occurrence of inflammation. This process helps bolster an expecting women’s immune system, which is critical to the health of both mother and child. Furthermore, Vitamin A may also help new mothers recover from the birthing process with greater speed and efficacy. Vitamin A, like many other nutrients, may quickly become depleted while a woman is pregnant. Such circumstances are especially problematic during the final trimester due to rapid fetal development. It is during this period that some women might ingest nutritional supplements containing vitamin A as a means of avoiding a deficiency. Certain members of the health community, however, suggest that this practice could prove detrimental. Scientific studies conducted have shown that excessive intake of vitamin A may eventually precipitate heart or other cardiovascular problems. Moreover, certain birth defects have been linked to an over-ingestion of vitamin A by pregnant women. Vitamin A needs to be consumed by soon-to-be mothers. That said, careful monitoring is the key to avoiding the potential manifestations associated with either excessive or deficient intake. Medical professionals suggest women have their Vitamin A levels tested during each trimester, especially in the third period. 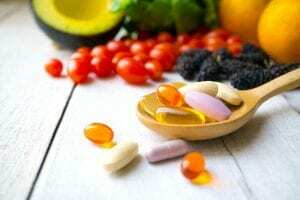 Should the results indicate one extreme or the other, the patient and doctor can tailor a dietary plan designed to return vitamin A concentrations to safe levels.